United’s new business class product was unveiled last June but so far the new seats are only on four routes. What’s confusing is that they insist on calling their business class ‘Polaris’ now whether or not a given flight has Polaris seats, so customers keep insisting to me that they’re going to have the new seats just because it says Polaris on their itinerary. The real problem of course is that United’s business class has been slow to roll out. It will be at least another couple of years before it’s even in half their international fleet, perhaps longer. We will see the very first Boeing 767-300 with Polaris seats coming soon, though. To date only Boeing 777-300ERs have had them. The Polaris seat is a huge improvement over United’s existing business class product. It is fully flat (so is the existing business seat) with direct aisle access (the innovation). 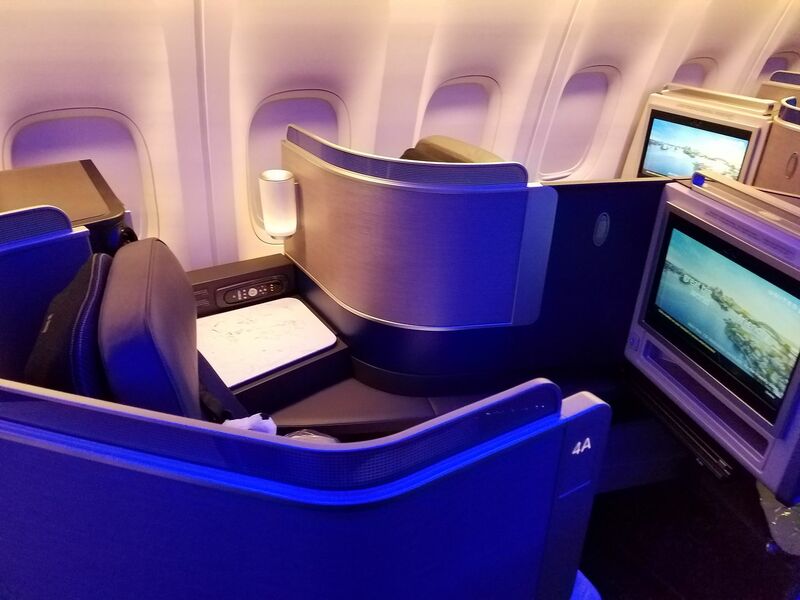 And what’s really unique about United’s new business class is it’s already an inferior seat to American’s, and to Delta’s seats on everything but their 767s. What Polaris does that’s special is let them put direct aisle access flat seats into a plane without giving up any density. They can fit the same number of seats in the same space as before. The indefatigable Brian Sumers tweets that someone ought to compare how United is presenting the new 767 Polaris configuration to customers (on its website) versus internally. United.com shows their new Boeing 767 business class as offering 1-1-1 seating. That’s 3 across, which is more generous than American and Delta offer on their 767s which are 1-2-1 or four across (still fully flat, direct aisle access). A LOPA is an Aircraft Interior Configuration Document, a diagram of the plane’s cabin interior which includes locations of the passenger and flight attendant seats, emergency equipment, exits, lavatories, and galleys. The LOPA is used for certifying interior components and installation. It looks a lot more like six-across, doesn’t it? I’ll leave it to others to dissect the reset of the LOPA. It looks like UA is using a six-across configuration similar to the SkySuites on Japan Airlines’ 787-9. The privacy of the window Sky Suites in the odd-numbered rows is amazing. Puzzling that AA and DL have not opted for six across in their new business cabins. Sure looks like 2-2-2 to me. I don’t know how much different the actual seat width is on the 767 vs 777, but I found the 777 seats surprisingly roomy. The 777 looks pretty darn close to 2-4-2 when you enter the cabin, but it feels like 1-2-1 once you sit down. The way it’s designed, you definitely don’t feel like there’s someone sitting next to you. If the extra capacity provided by the dense arrangement equates to more award seats, it’s a trade off I’d take 100% of the time. I had heard SO much about this Polaris that I paid extra to book it for next month’s flight to Athens. I wish I’d done my homework. Not only is the 767 from EWR to ATH and back NOT new seats, but there’s no Polaris Lounge in Newark. I booked the ticket 5 months ago, and THEN started hearing about the no pajamas unless it’s 12 hours (my return flight is 11:50) no Polaris seating, don’t expect the teddy bear, etc. One flier told me that it’s just BF with better bedding. Considering that the 777 I flew last year was one of the very old UA crafts and I was smooshed against the window, I have few expectations about the 767 I’ll be taking on the 12th. Every month as I board a UA flight I look at the signs advertising Polaris. I’ve seen the video and the photos. I feel pretty foolish that I bought into all of that. Very foolish. Eyeroll. Looks like two different versions of the same thing. Neither 3 across nor 6 across. It’s not a traditional “Row” so ‘x across’ has no meaning. Some more fine thought leadership here. @Jen Nelson – Here’s a hint for you….the UA & DL lounges are the best Newark has. In essence, EWR has a lounge deficit. Regardless of the diagram, whether UA website version or LOPA, there are still the same number of seats in Biz. In the UA web sketch, the seats are little blobs, almost square. The LOPA is more realistic in terms of seat length. But as @Bob says, it is neither a 3 nor 6 across layout, because it appears they are not evenly spaced “rows”. It seems to be 1-2-1 more than anything. Would be interesting to see a LOPA (or other to “scale”) of AA and DL business 1-2-1. How about a post comparing actual layouts (as opposed to seat maps) across the US3. Basically – Polaris take a standard configuration and just moves the aisle seat back and then angle it to allow for the aisle access for the window seat. The repeating pattern is 2-2-2 on the 767. UA just needs to adjust the first row bulk head – rearrange closets, etc. to allow for the shift in the first row. Clever – but still high density. I bet the seats aren’t any wider (maybe narrower than the old AA 2-2-2 on its 767s. I still think the old CO 2-1-2 was best – either as the lounge recliner or the newer BF seat. Yes no aisle access for the window seat – but lots of couples prefer the 2 seats together. I am not sure the Polaris seat is an improvement over the newer CO BF seat. Likely tighter leg room on the Polaris seat due to the skew, angle of the seat. I hope you are OK during the hurricane. Stay safe. I flew on a 777 Polaris from Tokyo to Los Angeles. The only negative (which does not affect me) is that the seat will not accommodate an obese person. I think some folks may be missing my point. This seat is a huge advance for United, in my opinion not as good as American’s 77W Zodiac seat or their Super Diamond and probably won’t be as good as the Delta Thompson Vantage XL Suite (doors). Not new to folks that have flown a Polaris seat, but it is a dense configuration. And as the LOPA shows, it is far more dense than the United.com seat map suggests. @Gary: I don’t know why you keep getting this wrong. United, by their own admission, has repeatedly said a “majority” of its long-haul fleet won’t have the “new” (by then quite old) Polaris seats until 2021. That’s more than a couple years from now. @Carlos: There aren’t really any airplane seats for obese people. Best bet is to buy two economy-class seats and lift the armrest. I was really excited a year ago for Polaris but then United dropped the ball. They should have never called the existing product by the new name. Nor should they have launched it until it was more readily available on aircraft, let alone the airport Polaris lounges. After all, it isn’t as if United has discounted the old, vastly inferior product. @FNT Delta Diamond – not getting this wrong, they’ve said a variety of things and different dates reference halfway point vs mostly complete. I’ve spoken with the executives in charge of the program. I was the first to report that the bulk of the fleet wouldn’t have it until 2021, that was in June 2016 and that was before delays. As a separate matter in February 2017 the projection for ‘half’ the fleet (ie majority) was sometime in 2019. Aren’t we overlooking a very basic data point here? How many people were sitting in the J cabin in the old UA configuration and how many now? It seems they are using the same cabin space, so this should easily tell us if the seating will feel more or less roomy. proof the common and frequent/business travelers are all idiots who dont know what they’re booking. No wonder airlines dont try hard to please anyone. Is this even a story? Al you have to do is look at the 2 maps. One is 5 rows and one is 10 rows. It’s the same thing just one is kore condensed version. It’s still staggered 1-1-1. Why is the Super Diamond or AA Cirrus even a comparison. It’s not on any 767. 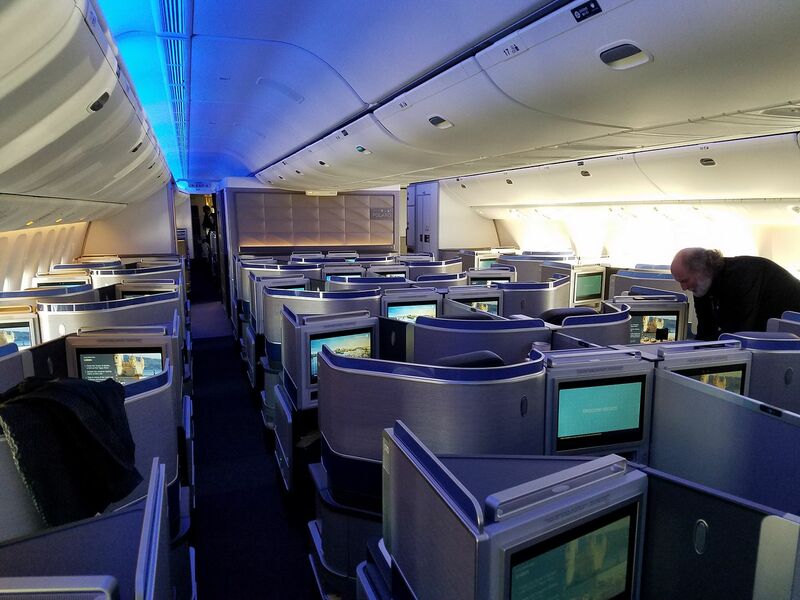 This is the most innovative biz class layout on a 767 hands down. Maximum privacy. The LOPA just shows the seats will be plenty long. @Greg. 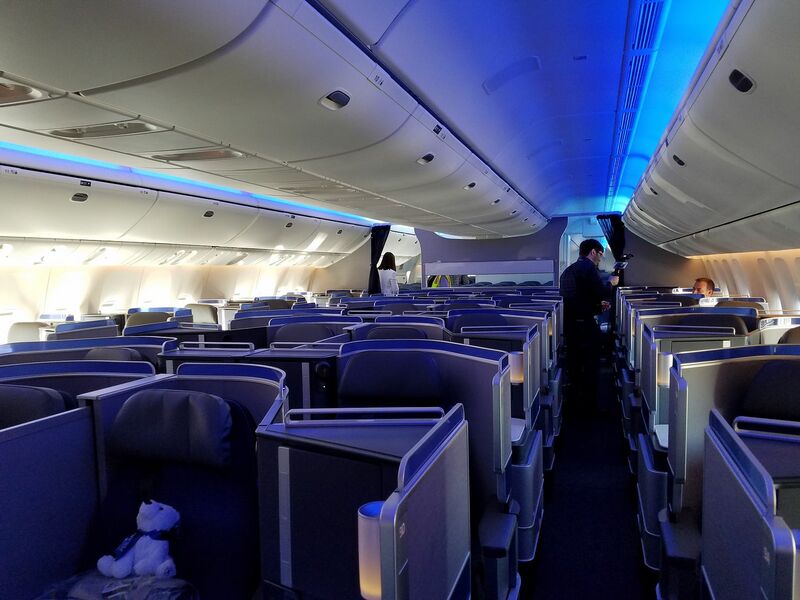 The most innovative business class layout for the 767? What next, the most innovative business class seat for the 757? Leave it to United to design the best business class seat for an obsolete plane.